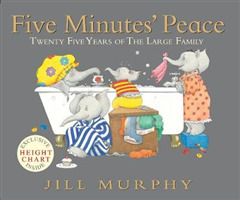 Celebrate twenty-five years of the Large family with this special edition of a modern picture book classic, complete with fold-out height chart.A stunning 25th anniversary edition of an award-winning picture book favourite, this is the story of Mrs Large the elephant - who just needs five minutes of peace and quiet away from her boisterous children! So, taking refuge in the bathroom, she fills herself a hot, foamy bubble bath and takes in a tray of her favourite breakfast and the morning paper. 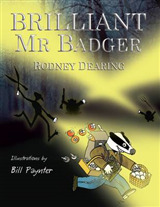 But there's never a dull moment with the Larges, and it soon becomes clear that mum's quiet time is to be very short-lived! 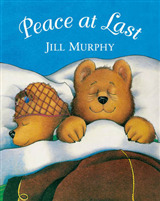 Family life is beautifully observed in this warm and funny modern classic from Jill Murphy, one of Britain's most treasured author-illustrators. 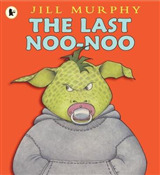 With the jacket of this edition revealing an exclusive height chart, this is the perfect gift for mums and little ones alike.